The following list serves to show obsolete Western herbs and the Chinese herbs that can be used in their place. Some herbs are the identical medicine to that previously used in the West (Cyperus rotundus, Costus etc.). Some are closely related species with uses similar enough that they could be used in place of the Western variety. This resource again makes it easier for modern Western herbalists to be able and recreate traditional western formulas by sourcing necessary ingredients from Chinese sources. Amber has been long used in the West. In fact, all the indications for which Amber is still used today were previously employed in the Western Tradition. And Amber was used far earlier in the West than its use in China. This strongly suggests its use in TCM was imported from the West, possible via Arab traders. True, old Amber is a little expensive and not always available without crushing up necklaces which may have been polished with chemicals. The Chinese Market regularly supplies a younger form of Amber which is used medicinally. It can be obtained from TCM herbalists as Hu Po. The Western and Chinese versions are very similar in appearance, use and function. The Chinese Asarum Xi Xin can generally be used where Asarabacca is called for in Western formulas. Arum and Arisaema species are closely related, many of the Arisaema previously being assigned to the Arum. Both are primarily used to cut through tough and Cold Phlegm. The Chinese Arisaema Tian Nan Xing can generally be used where Arum is called for in Western formulas. Various species of Asparagus root are used throughout the various traditions, all being used as moistening Yin tonics. Due to the fact that Asparagus root appears in various traditional Western formulas but is largely unavailable on the medicine market, Asparagus Tian Men Dong is an easy choice for substitute, being cheap and readily available. The Chinese Asparagus Tian Men Dong can generally be used where Asparagus root is called for in Western formulas. Barberry root-bark is an important medicine in various systems and was used in the West. The Chinese Berberis Xiao Bo is a local variety and may be used for the Western species, although it is not a commonly used TCM herb. The Birthworts (Aristolchia) are important medicinal herbs of the Eastern and Western Tradition. They are considered obsolete now due to the toxic aristolchic acid. However, TCM uses a number of plants as accepted substitutes, and these plants may be used in Western formulas where appropriate: Stephania tetrandra (Han Fang Ji) and Cocculus orbiculatus (Mu Fang Ji) are accepted substitutes in TCM; the former is stronger for Damp-Heat Edema and Red Swollen Joints; the latter for Wind-Damp type Joint Pain. Burdock seed was occasionally used in Western formulas and is largely unavailable now. It has some qualities and effects different to the root, so it is handy to know that Burdock seed can be readily bought as Niu Bang Zi from Chinese Herbalists. Camphor appeared in a number of Western formulas. Camphor is fairly easily available but there are 2 main types: Camphor (Zhang Nao) and Borneo Camphor (Bing Pian). The former is only used externally, the latter, Bing Pian, is suitable for internal use. Therefore Bing Pian can be used in any internal formula containing Camphor. Catechu is not commonly available on the Western Market. However, it is readily available in TCM as Er Cha. It can be used wherever called for in Western formulas. Chicken Gizzards were used in the West, similar to their use in TCM. Chicken Gizzards are rich in enzymes and promote proper digestion. TCM uses prepared and dried Chicken Gizzard skin which is called Ji Nei Jin. China root is a species of Smilax (Sarsaparilla species). It is used synonymously with Sarsaparilla and the 2 were often combined in the Europe. Smilax Tu Fu Ling is not only able to be used where China root is called for, it is also a useful substitute for Sarsaparilla. Citron peel quite commonly appeared in Western formulas, similar to the use of Orange/Mandarin peel in TCM (Ju Pi, Chen Pi). Citron peel is rarely available. However, the Chinese Finger Citron peel is available as Fo Shou. It may be used in places where Citron peel is called for in Western formulas. Coltsfoot is used in both East and West, and Coltsfoot herb is still widely available to Western herbalists. However, Coltsfoot flower was often preferred and is not commonly available on the Western drug market. Luckily, Coltsfoot flower is widely available from TCM herbalists where it is called Kuan Dong Hua. Costus is a very important medicine in all traditions. It was widely used in the West but has fallen out of use over the past 100 years. Although there are several different plants supplying Costus, and the Western Tradition had a Sweet and Bitter variety, the Costus of TCM may be used wherever Costus is called for in Western formula. This medicine is available from TCM herbalists as Mu Xiang. Cyperus rotundus was previously used in the West, and is still revered in both TCM and Ayurveda, however, is rarely available through Western sources. It is an aromatic carminative, with Qi regulating properties and is very important in gynecology. In addition, it has useful anti-inflammatory activity. TCM herbalists stock this as Xiang Fu. Dodder herb was commonly used in the Western Tradition. Dodder seed (Tu Si Zi) is commonly used in TCM. Although the species most commonly used in TCM is different, the same species have supplied both the herb in the West and the Seed in TCM, meaning that the sources can be considered synonymous. While their uses are different, various sources including the Barefoots Doctors Manual state that the herb may be used in place of the seed. This suggests the seed should also be a viable substitute for the herb used in the Western Tradition. Dragons Blood has been used in all systems, and a number of different sources have been used to supply it. Some of these are largely unavailable in the modern market. However, the product sold on the Chinese market as Xue Jie is an accepted modern source for Dragon’s Blood and may be used wherever it is called for in traditional Western formula. Earthworms have an important role in the Western Tradition. They have a number of specific and distinct uses, all of which are shared by TCM. The interesting thing is, they were used far earlier in the West, meaning that their use was probably introduced to China from the West. Earthworm and even Earthworm extracts are easily available now from Chinese herbalists and may be used for any of the indications for which they were used in the West. Figwort is a close relative of Xuan Shen and both have been used very similarly in the 2 systems. They are used to clear Heat and toxin from the Blood, resolve Swellings and Masses, and have been widely used for Scrofula which is both a signature of the roots, and the namesake of the genus. The use, appearance and chemistry of them is similar enough for them to be considered synonymous. All these are cooling, help clear Phlegm and Damp, are gently laxative with good nutrition, similar to the use of the 'Cold Seeds' of the West. The Cardamons are a group of medicines which have long been used in all the systems. In the West, Greater and Lesser types were most commonly used. The Greater Cardamon is the Amomum Sha Ren of TCM. It can be used wherever Greater Cardamon is called for. Jujubes were commonly used in the Western tradition but are unavailable on the modern western herb market. However, the Chinese Jujubes (Da Zao, also called Chinese Dates) are a variety of those used in the West and may be used wherever Jujubes are called for in Western formulas. White Lily bulb was often used in the West but is largely unavailable today. Mallow seed was quite commonly used in the West, but may be hard to obtain today. TCM uses the seed of Cluster Mallow called Dong Kui Zi. It is closely related to the species supplying the Western Mallows (of which there were several). Dong Kui Zi may be used in all places where Mallow seed is ordered. TCM uses a their local species of Motherwort much the same as the Western Motherwort. In fact, the Chinese name for their Motherwort translates to ‘Benefit Mother herb’. The Chinese also have the seed of Motherwort, known as Chong Wei Zi. It can be used in any instance that Motherwort seed is called for in Western formulas. Various Citrus peel have been used in the various Traditions. TCM uses a number of different Citrus peel and related medicines. Citrus medicines put together. Their effects are the same, but aged Tangerine peel (Chen Pi) is stronger. Wherever Orange or Citron peel is called for, either of these 2 versions from TCM can usually be substituted. Peony has been an important medicine in both East and West, mostly in TCM and Europe. In Europe Peony root was most used for ind disorders like Epilepsy, Convulsions, Apoplexy, Dizziness, Headache etc. I always assumed it to be equivalent to the Chinese Bai Shao. However, when I obtained Paeonia officinalis (the Western Peony) root from India years ago, I was surprised that the root is more aromatic and has a stronger taste than the Chinese Peony. The Western Peony is stronger to settle Wind and this is does primarily by nourishing the Liver. Despite the fact that they are not identical, the Chinese Bai Shao is an acceptable substitute for the Western Peony which is largely unavailable on the Western Drug Market. Plantain seed was occasionally used in the West. Chinese Plantain seed Che Qian Zi is readily available and has the same uses. Various Earths were long important in the Western Tradition; Earth of Lemnos, Armenian Earth and Sealed Earth were most commonly used and shared similar functions. The Earths in general can be separated into ‘White’ (pale) and Red Earths. As with Coral, the White was used for Leakage (Diarrhea, Leukorrhea) while the Red was more typically used for Bleeding. They were also much used against Poison and Infections. 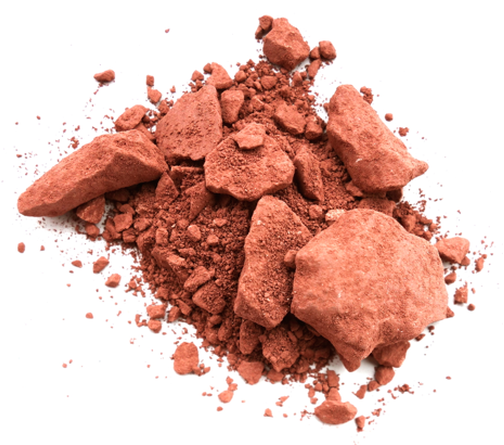 The Chinese Red Earth Chi Shi Zhi used in TCM is an acceptable substitute for the Armenian Earth. Saffron appears in a large number of Traditional Western formulas, usually in small dose. In all the Eastern systems, Safflower has been widely embraced as a useful and accepted substitute for the very expensive Saffron. Siler Montane was an important medicine for Wind diseases in the Western Tradition. It was often used in acute Wind-Cold conditions such as Common Cold and Flu as well as being used in Antidotes to preserve from infection. In addition, it was used for Internal Wind diseases such as Spasms, Dizziness, Paralysis and Epilepsy. Saposhnikova Fang Feng was formerly classed as a species of Siler, and it is similar in appearance to its European cousin. It is likewise used for both acute Wind-Cold conditions as well as Internal Wind. This is noted in its Chinese name as ‘Feng’ means Wind. The Chinese Fang Feng is a useful and logical substitute for the rarely available European Siler Montane. The Spurges have supplied a number of different medicines used in the different systems. All the Spurges contain an acrid, irritant and toxic milky juice. Classically, they have been used internally after preparation for severe water accumulation as in Ascites. However, they are hydrogogue cathartics, passing water via the bowels. They are therefore not suitable for weak constitutions and should only be used by experienced hands. The use of the Chinese and Western varieties is similar enough for the prepared Chinese product to be used in cases called for in Western formulas. This is applicable to various Spurge including Esula. The prepared root could also be substituted for Euphorbium, the dried resinous milky juice of a related species. Tabasheer is a very important medicine in the Western Tradition, far more so than in TCM where it was a later introduction. Natural Tabasheer is the dried silica formed in the nodes of certain Bamboo species. It is rare in nature so is expensive. Luckily, a man-made proudtc supplies most of the market in Indian, Tibetan and Chinese Medicine which may be purchased readily. Tian Zhu Huang can be used wherever Tabasheer is called for in Western Formulas. Tragacanth is the dried gum of a species of Astragalus, being the polysaccharide-rich portion of the herb. Astragalus Huang Qi contain Gum Tragacanth as a constituent (Bensky), and both are regarded as tonics, but Tragacanth is far more concentrated and stronger, but is also very expensive and not commonly available from herb suppliers. Perhaps the main difference is that Tragacanth has Qi and Yin tonic capabilities, while Astragalus Huang Qi and Qi tonic capabilities leaning towards Yang tonic effects too. In most instances, a concentrated extract (10:1) of Astragalus Huang Qi may be used in place of Tragacanth. Turbith was a primary medicine for ‘purging’ the Phlegm humor in the Western Tradition. While it was not usually given in doses strong enough to actually purge, it strongly cuts tough and old phlegm and works in the Lungs and Stomach, as well as more distant parts. It was often combined with Agaric, reminiscent of the common combination in TCM of Pinellia Ban Xia and Poria Fu Ling. In addition, it was regularly combined with Ginger (as in Powder of Turbith, which also added Mastic), which is likewise a common combination with Pinellia Ban Xia in TCM. As with Turbith in the West, Pinellia Ban Xia is a primary phlegm-purging medicine used in TCM. As stated above, both these medicines are regularly combined with Ginger, and white, spongy fungii growing which grow on trees (Poria Fu Ling and Agaric). The Viper as used in the West is similar to the Pit Vipers used in TCM, even though some of the indications from East to West were different. A number of varieties of snakes and vipers are used in TCM with the Pit Viper Bai Hua She regarded as strongest. Any of these may generally replace the ‘Viper’ of the West. 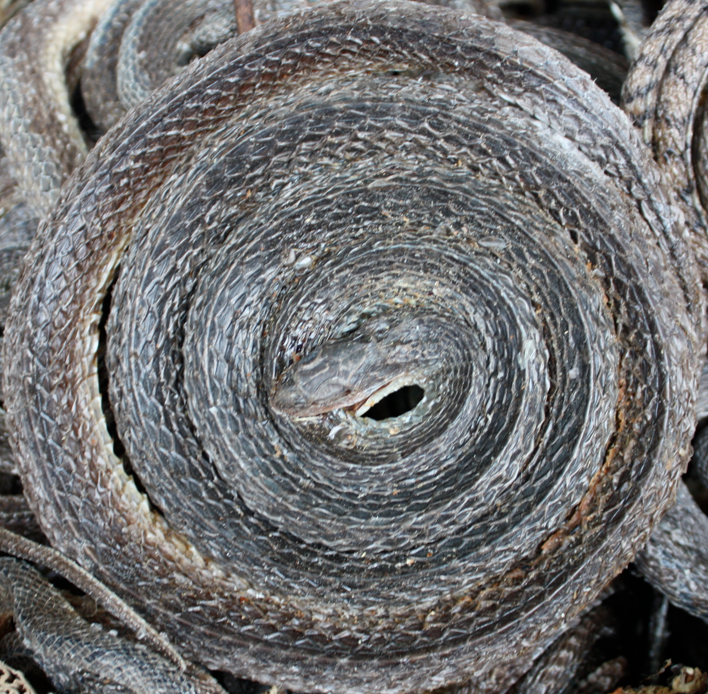 In addition, some companies prepare extracts of the Chinese Vipers which are a more convenient way to use and makes importation to western countries far easier. Chinese and European Dittany species are closely related, probably just varieties of the same species. Several sources state the Chinese species (such as D. angustifolius) are synonyms for D. albus which was used in Europe. The Chinese Dictamnus Bai Xian Pi can generally be used where White Dittany is called for in Western formulas. Zedoary was commonly used in the Western Tradition, far more commonly than it appears in Chinese formulas. Zedoary is largely unavailable on the Western Herb market but is commonly available from Chinese Herbalists. This is just an example of the Materia Medica that can be borrowed from Eastern systems and re-introduced into Wrt oestern practice.